Shannon became a Dogsafe® Authorized Instructor in early 2014 and is the creator and trainer of Canine Quest Training & Services. In addition, she is a graduate of the Karen Pryor Academy (KPA CTP), a dog therapy evaluator for St John Ambulance and a volunteer with the Pet Therapy Society of Northern Alberta. Animals have always been an important part of Shannon’s life and growing up on a farm, Shannon was initially consumed with a love of horses. Shannon, and her husband Rodger's animal family now includes, Abby, a Newfoundland who also volunteers as a therapy dog, and Niso, a golden doodle and her Dogsafe demo dog plus Knuckles the cat, who followed them home one day and never left. Barbara’s experience working with dogs dates back to when she was 14 years old and worked as a veterinary assistant at a local clinic. From there, Barbara began her processional dog training career competing in Canadian Kennel Club obedience trials and expanding her knowledge of the science behind how animals learn. In addition to being a Dogsafe Authorized Instructor, she was the behaviour consultant at the Calgary Humane Society and her credentials include: Certified Pet Dog Trainer Knowledge & Skills Assessed (CPDT-KSA), Tellington TTouch Practitioner Level 2, Karen Pryor Academy (KPA) Certified Training Partner (CTP) and Certified Behaviour Consultant Canine – Knowledge Assessed. As a knowledgeable and skilled speaker, Barbara is invited to present internationally at animal welfare and professional dog training conferences, on talk radio and TV news. Barbara shares her home with four Golden Retrievers, and a Papillion, and has strong interest in helping owners and their pets stay safe and healthy. Robyn first graduated from a Dogsafe course in 2007, she hosted the Nanaimo Dogsafe Canine First Aid courses for four years and in 2011, became the first Dogsafe Authorized Instructor. She is a graduate of Malaspina University's Animal Care Aide Program, is a professional dog trainer and owner of Best Paw Forward Dog Training. Robyn is owned by her two certified therapy dogs, Rudy, a miniature schnauzer and Ty, a border collie cross. Robyn believes that animals are our greatest teachers, and add unprecedented joy and value to our own existence. "Robyn, you put your whole heart into this class, two thumbs up!" ​Susan graduated from the Dogsafe Canine First Aid course back in 2007 and became a Dogsafe Authorized Instructor in 2014. She's had a love for animals for as long as she can remember. She started her canine career as a veterinary assistant, then continued on to graduate from a dog grooming academy which also included courses in pet hygiene and basic pet training. Susan is the owner/operator of a successful dog grooming business, Susan's Canine Services, were she continues to put her four-legged clients' safety first. Susan enjoys working alongside her Siberian husky, Spirit and a mix-breed, Scrappy. ​Kyla is a professional dog trainer, certified through the Karen Pryor Academy for Animal Training & Behaviour and co-owner of Dogs Dig It Training & Services Ltd.
A very important goal to her is to enrich the lives of families and their canine family members by providing education to families and children about canine safety and canine language. ​Kyla shares her home with her husband, two children, two cats, and two dogs. Nina Houghton first graduated from a Dogsafe Canine First Aid course in 2006 and became a Dogsafe Authorized Instructor in 2013. She is a graduate of the International College of Canine Behavioural Sciences and is professional dog trainer and owner of Alpha Dog Training Co. with a committment to using friendly, positive training techniques. Becoming a Dogsafe Authorized Instructor was a natural progression for expanding her own knowledge of dogs while providing instruction for safety, awareness and handling emergencies. Nina is owned by Daisy, her 7 year old Australian Shepherd Cross. Originally from the east coast, Laurie obtained a bachelor degree in psychology before moving to Northern B.C. to counsel youth. A short time later, she became a paramedic for the British Columbia Ambulance Service, joined Search & Rescue, and has also instructed army cadets for ten years. Laurie seemed to be following a destined path when this extensive experience plus her life long love for dogs led her to becoming a Dogsafe Authorized Instructor in 2012. Quincy, a SPCA rescue, has been taking care of Laurie for seven years as they train and compete in agility and share adventures such as hiking, camping and snowshoeing. Laurie is the creator of K9ABCs, a company which helps promote the safety and wellbeing of our four legged friends. Angela is originally from the Kootenays, but is now enjoying the great white north, with her animal family in Prince George, BC. She's currently sharing her home with her dog Maple, cat Tigz and bunny Sunny. She has been an animal fan and animal companion her whole life and her passion led her to create Happy Tails Canine Adventures. 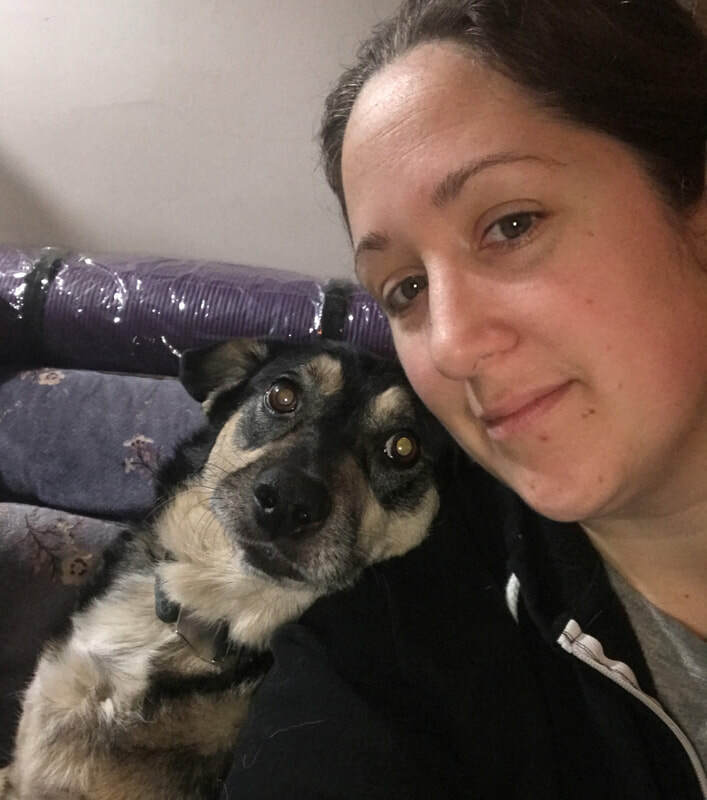 As an experienced pet sitter and dog walker, she values the importance of their care and safety and was initially introduced to Dogsafe Canine First Aid when she took the course in the 2006. Her additional experience as a teacher's aid and residential care worker was the perfect blend to become a Dogsafe Authorized Instructor. Gail had a career in public service with over 18 years experience in emergency response and instruction and is now a Certified Professional Dog Trainer and graduate of the Good Dog Academy and has a Diploma in Canine Behaviour Science Technology. Gail is also a St John Ambulance Therapy Dog Certified Handler along with her Chinese sharpei/malamute mix, Lanie, adopted from the Langley Animal Protection Society. As two of Gail's other dogs experienced age related health complications, she took the Dogsafe course to enhance her knowledge of emergency response and first aid that was specific to dogs. It was then natural for Gail to combine her love of dogs with her career experience and become a Dogsafe Authorized Instructor. 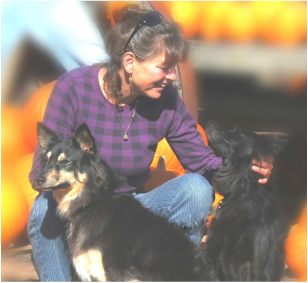 Gail is a member of the Association of Pet Dog Trainers and owner of Cedar Valley K9. "Thank you for being an amazing instructor, Gail, your teaching style is wonderful." 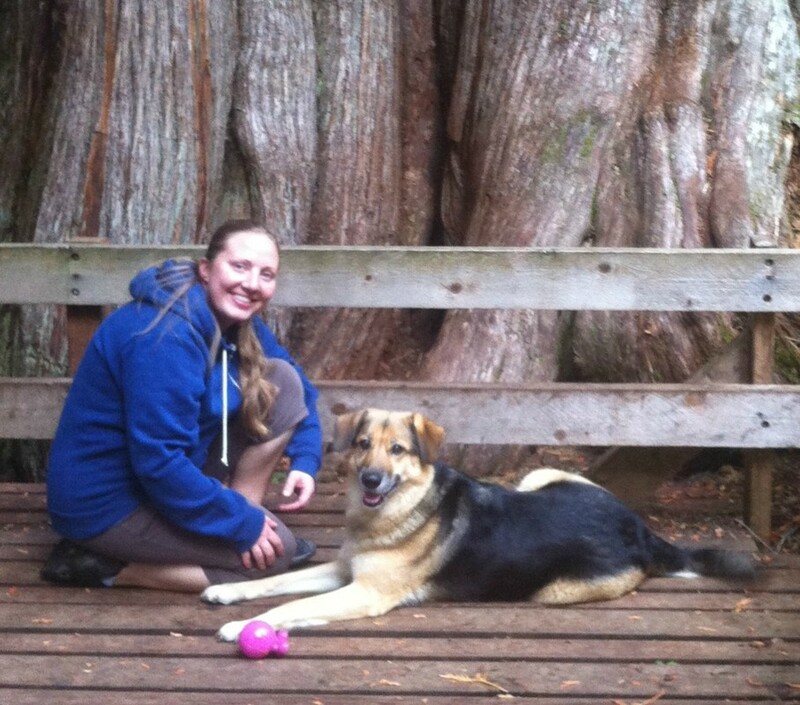 Deborah became a Dogsafe Authorized Instructor in 2012 after hosting the Dogsafe courses in Langford for three years. 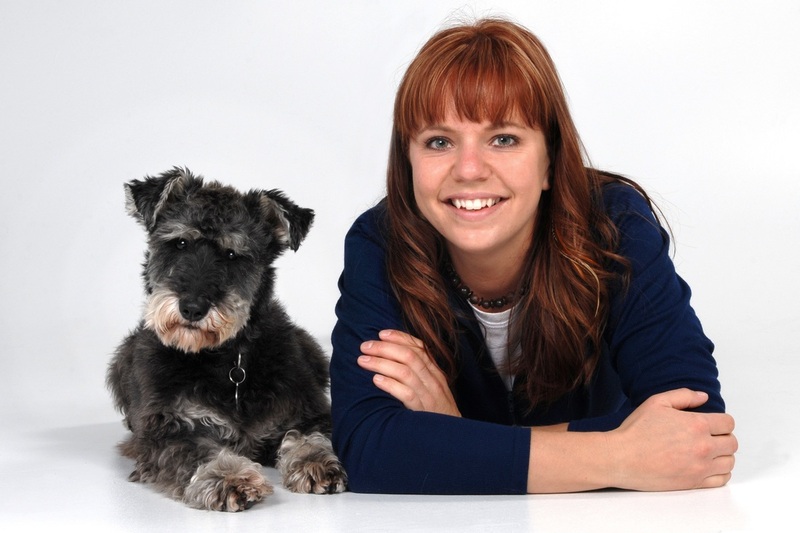 Previously, she founded and operated K9HQ Doggy Daycare Plus, before launching her new endeavour: K9 Affairs consulting & training company which focuses on health and safety education for pet businesses and pet parents. Deborah has a certificate in animal welfare, is a Certified Canine Specialist through the Pet Industry Joint Advisory Council of Canada (PIJAC) and is currently studying for the Carnivore Nutrition certification through American Council of Animal Naturopathy ACAN. Deborah is married and lives on Vancouver Island with three dogs and two senior cats. Her dog Glayva, is happy to comply (for cookies) as a demonstration partner in the Dogsafe workshops. Michelle is the Creator, Head Instructor and Director of Instructor Development of Dogsafe Canine First Aid and author of the course manual, Dogsafe: Everything Your Dog Wants You to Know In An Emergency (full bio). She has a bachelor degree in communications from Simon Fraser University, was a Vancouver police officer for nine years and was a professional dog trainer and creator of Dogtime Canine Recreation Company. On January 30, 2013, Michelle said her final good-bye to her beloved Monty, a Rottweiler adopted from the Vancouver city shelter. 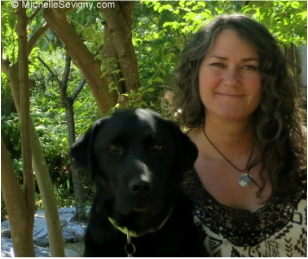 In July 2014, Michelle adopted a 3 1/2 year old black labrador, Lucy, while in Halifax, Nova Scotia. "Michelle, you are a first-rate teacher and Monty has a wonderful spirit." Shari first graduated from a Dogsafe Canine First Aid course in 2012 and became a Dogsafe Instructor in 2013. Shari's committment to first aid goes back to 1995 when she became an instructor with Canada Red Cross and currently, Shari and her husband, Jim, own a human first aid training agency, Critical Choices First Aid Training. Shari has an enthusiasm for teaching canine first aid due to her connection with Baron, her playful and energetic miniature Australian shepherd. "Whenever I come home he’s always at the door doing the Aussie wiggle," says Shari. Laurie Wright is a certified dog trainer through the Karen Pryor Academy for Animal Training & Behaviour, as well as a Tellington TTouch® practitioner. 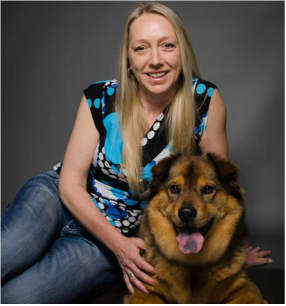 Dedicated to the wellbeing of dogs, she became a Dogsafe Authorized Instructor in 2017 after co-founding Dogs Dig It Training & Services Ltd.
Laurie grew up in Manitoba surrounded by animals. Her love for them led her to raise and train horses, with dogs always at her side. Life then took her to Vancouver Island where her focus turned to dogs. She is an experienced small dog trainer and uses only humane training methods. Laurie shares her home with seven adopted Chihuahua/crosses. ​Michelle is the owner of Drewz Canine Essentials and has a Bachelor's Degree in Human Kinetics and has been working as a Health and Safety Consultant for the Government of Nova Scotia since 2011. Since she was a child, she always said she wanted to work with dogs. It wasn't until she heard about Dogsafe did she realize her skills and knowledge in the fields of Human Kinetics and Health and Safety, along with her passion for dogs, would be the perfect fit for becoming a Canine First Aid Instructor. Michelle's sidekick is Drew, a Toy Manchester Terrier, who is known to many as the fun police. "Michelle is a fantastic instructor who kept things interesting and flowing at a nice pace." --Tammy Murray Reid, HouseHawks Property Care Ltd. While volunteering and fostering for a rescue, Judy realized how much she didn't know about dogs and set about changing that, first becoming Certified in Obedience Training, and then Agility Training and Behavior Modification. After 8 year of pet sitting and dog training, Judy became aware of the need to educate other dog professionals and dog owners about how to deal with first aid emergencies, and found her way to the Dogsafe Authorized Instructor Program. Her dog, Charlie Brown, has been a great learning partner and has supported her the whole way. No Instructor in your area? Register for eLearning!